Wesco Liftkar Fold-L Battery Power Stair climber HandTruck (375 lb. Capacity Flat Free Wheels) - Wesco 274163 is perfect for moving heavy loads upstairs has versatile L handle to assist loads while ascending the steps. 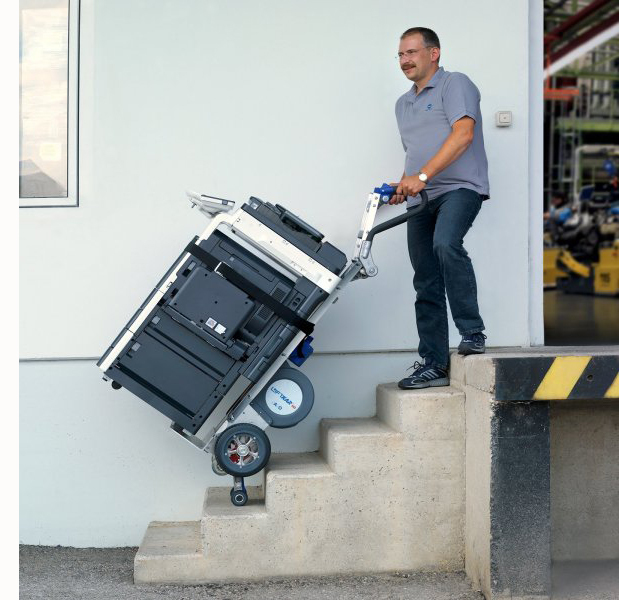 The weight capacity ranging from 240 pounds to 375 pounds of Wesco Liftkar is actually a simple hand truck that can be turned into an electric stair climber with the addition of the snap-on battery. 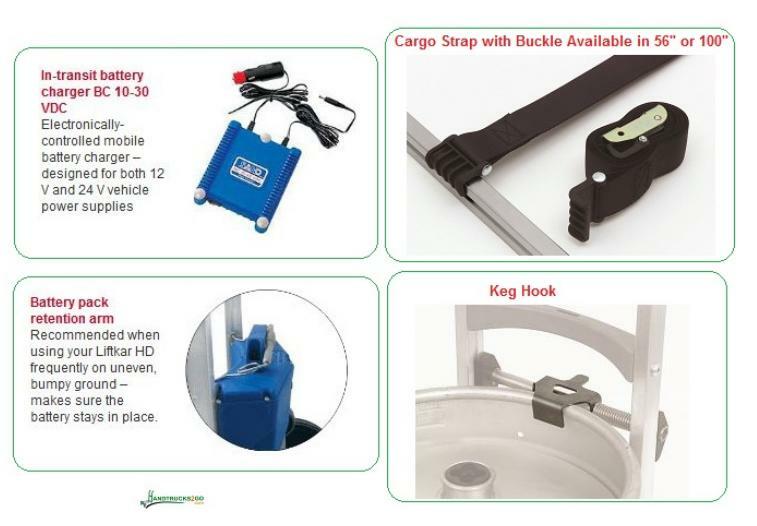 The Wesco Fold-L Handle unit is actually quite similar to the Fold Model Liftkar except for its shorter handle and the longer frame. With the wide, pneumatic wheels, this stair climber can be tough for outdoor use, even for rougher surfaces.